Kreglinger’s Paul de Moor (left) with Pipers Brook Vineyard Senior Winemaker Luke Whittle. Image supplied. Kreglinger’s Paul de Moor … the Belgian CEO has established an uniquely Tasmanian vine improvement program in the heart of suburban Launceston. 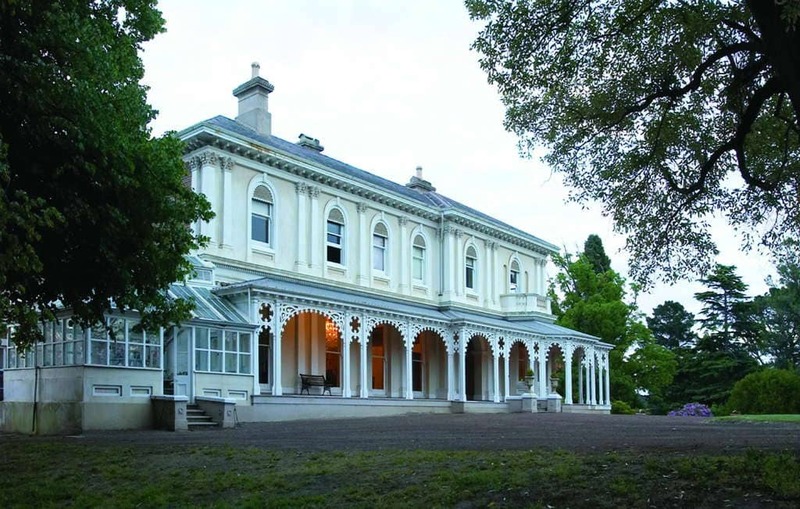 Mount Pleasant Estate’s gracious, two-storey Italianate Victorian residence. 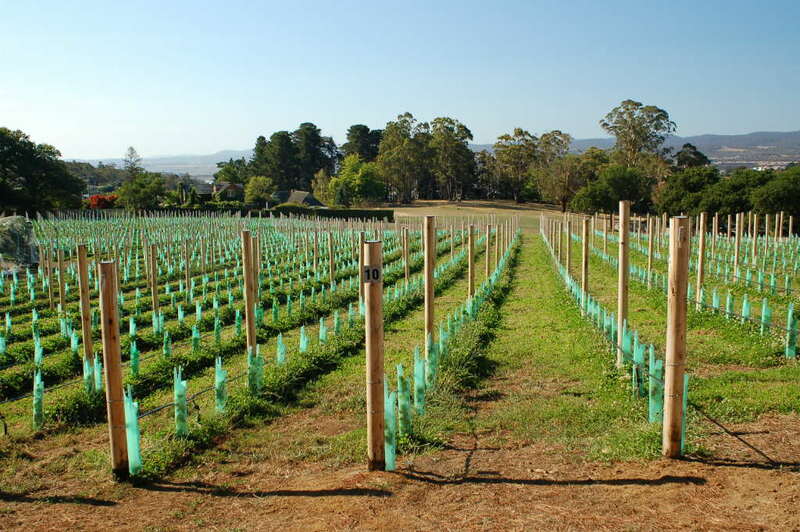 New Certan… Tasmanian Pinot Noir vine improvement being undertaken in the heart of suburban Launceston. With row upon row of vines in Tasmania now looking resplendent with the tiny bunches they will carry through to harvest, it’s not hard to see why anyone would want to plant a vineyard. Why anyone would want to plant a vineyard in the middle of suburban Launceston isn’t quite so easily explained. After all, what would the neighbours say? That noted, Paul de Moor’s New Certan project is not your average Pinot Noir vineyard. First planted by the Holyman family in 1984 – and subsequently expanded to 3.3ha under the watchful eyes of its current owner – the site was once part of Launceston’s historic Mount Pleasant Estate. Today, it is hemmed in by the suburban sprawl of Kings Meadows and Prospect, and provides the focal point for a Pinot Noir vine improvement program that has few peers anywhere else in the world. The 14ha hilltop estate has been the home of the de Moor family since 2002. 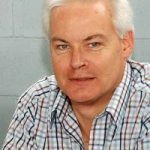 That was the year the Belgian-born Chief Executive Officer moved to northern Tasmania after masterminding Kreglinger’s 2001 acquisition of the publicly-listed company of Pipers Brook Vineyard. Its two-storey, Italianate Victorian residence was built in 1865 for colonial whaling and shipping merchant, Henry Reed. Planning of de Moor’s privately-owned and funded Pinot project began in 2005, and sprang from a desire to fully understand what makes the variety tick in the favourable growing conditions created by Tasmania’s cool maritime climate. 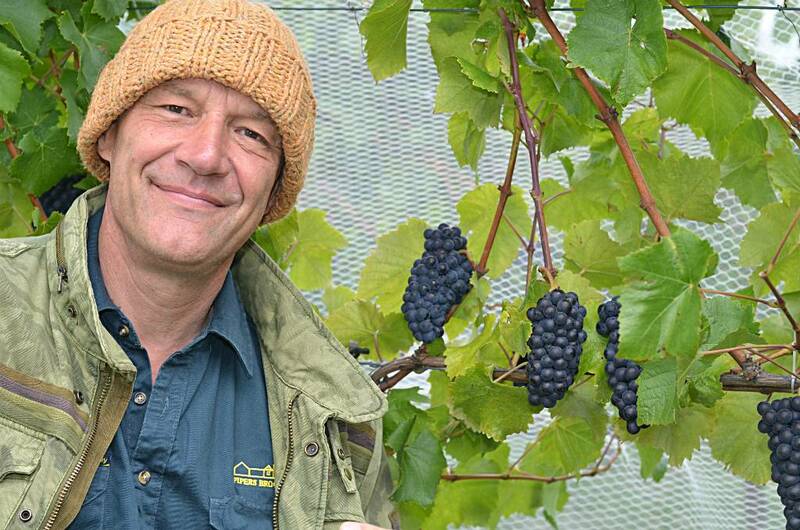 “We’re looking to create a new style of Pinot Noir,” de Moor explains. Softly spoken yet fiercely determined to overcome every challenge that confronts him, de Moor has established an astonishing number of clonal selections of Pinot Noir on his site – some 64 in total. By way of comparison, many Tasmanian vineyards with a similar planted area might comprise half a dozen selections, some of them of questionable origin and genetic makeup. It is their subtle differences in varietal characters that add complexity to aroma, flavour and texture of Pinot Noir table wines. Mount Pleasant’s clonal selections were carefully researched, with many coming from overseas’ sources. All were subjected to rigorous certification and quarantine processes. Planted between 2007 and 2009, they now provide the production base for a 200-case Pinot Noir called New Certan. Its first vintage was 2011. 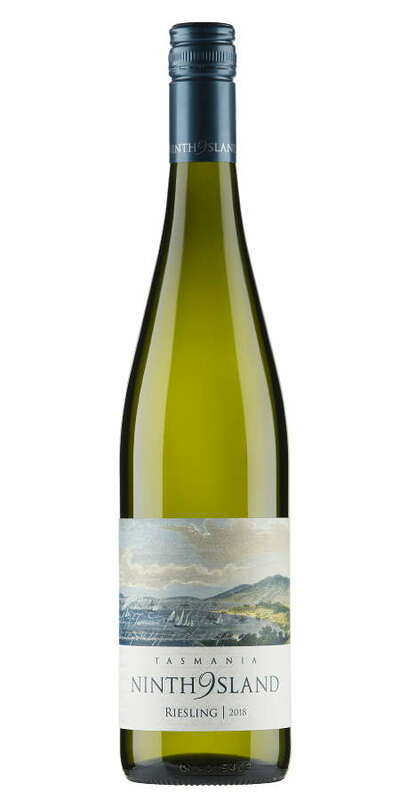 The wine’s labelling and packaging – not to mention its Certan moniker – reflect de Moor’s family heritage. Great grandfather Georges Thienpont was a successful wine merchant who purchased Bordeaux’s prestigious Vieux Chateau Certan in 1924. Nearly a century later, the 16ha Pomerol property remains in Belgian hands, with de Moor’s cousin Alexandre Thienpont in charge. Celebrated Chateau Le Pin, located nearby, is owned by another cousin, Jacques Thienpont. Links to such esteemed properties help drive de Moor’s unique viticultural quest. Like his European peers, he is keenly aware of the steadfast stewardship that historic properties invariably demand from their custodians. Indeed, de Moor believes many of the world’s great wine estates enjoy their positions of pre-eminence because their owners did whatever was needed to optimise the quality and consistency of their production. Almost 15 years into his project, de Moor is suitably impressed by the progress it has made. 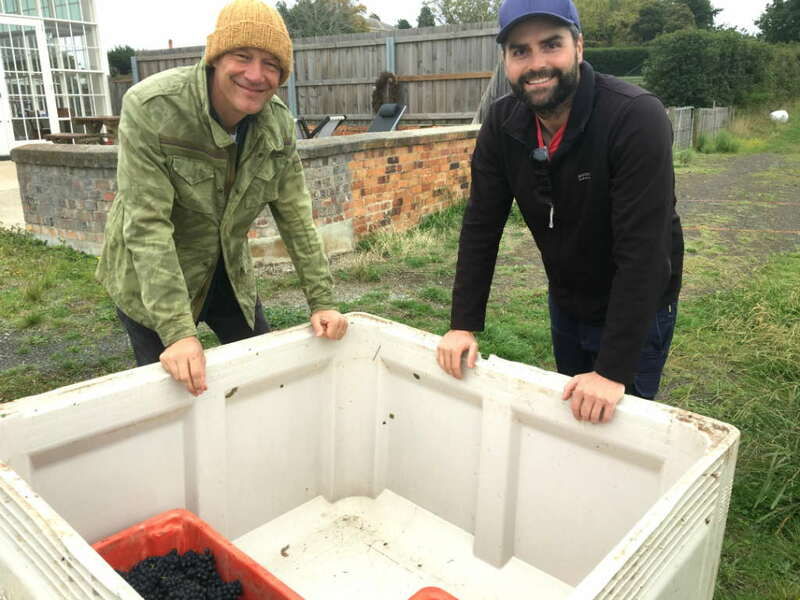 Pipers Brook Vineyard Senior Winemaker Luke Whittle – aided and abetted by Chief Winemaker Jim Chatto – has welcomed discernible improvements in Pinot Noir quality from this suburban vineyard. Trickle-down effects have also added gold medal show success to Kreglinger’s flagship Pipers Brook Vineyard wine. For his part, de Moor is not obsessed with reaping quick rewards from his ambitious program of vine improvement. “This vineyard has been set up to serve the needs of our company for the next three decades, whatever we do – good or bad – for Pinot Noir,” he muses. REMINDER: A public tasting of all 2019 Tasmanian Wine Show gold medal winners – including the 2017 Pipers Brook Vineyard Pinot Noir – will be held on Thursday 14th February (4:30pm to 6:00pm) at the Pinot Shop, Paterson Street, Launceston. Tickets cost $30.